Jill Stein, this election's Green Party candidate for president, has not faltered in her goal to be president of the United States, despite never escaping single-digit polling numbers and not gaining access to the debate stage on Monday night. But Stein won a small victory earlier this month, when it was announced that citizens in 48 states (including D.C.) would be able to vote for her on Nov. 8. On Sept. 10, ballot petitioning in all states ended, and Stein was ultimately included on the ballot in 45 states (including D.C.). Additionally, three states — Indiana, North Carolina and Georgia — will allow her name to be written in. In Nevada, South Dakota, and Oklahoma, she will not be on the ballot in any form. Every state has different requirements to achieve ballot access, but it mostly revolves around obtaining a set amount of signatures of support. Stein’s latest obstacle has been gaining exposure for her campaign, which was dealt a blow when she was deemed ineligible to participate in the first presidential debate. Neither Stein nor Libertarian Party candidate Gary Johnson achieved the minimum 15-percent polling support required to clinch a spot on the stage. 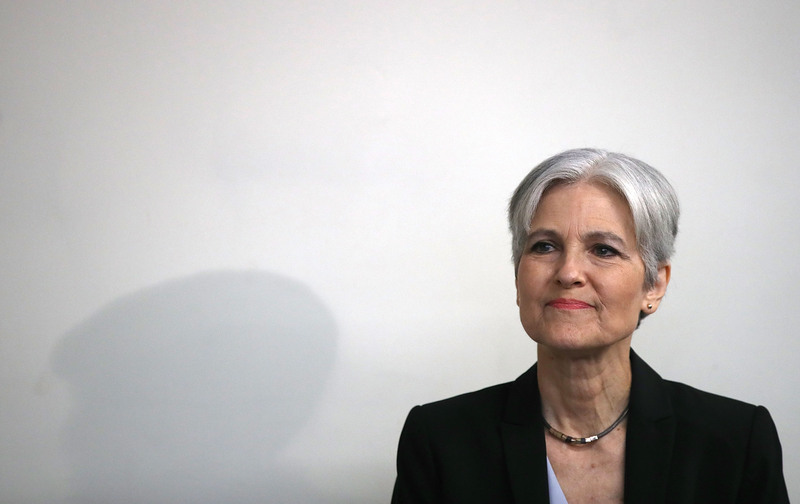 Stein vehemently protested the decision, which she called an effort by the Republican and Democratic parties to "silence their competition." She did show up at Hofstra University on Monday prior to the debates to do some interviews. However, she faced another setback when she was escorted off the campus because she couldn’t produce proper credentials. The next day, however, Stein was given the opportunity to let people know what she would have said had she been included in the debate. Democracy Now! brought the candidate on to host a mock debate, where they had Stein reply to the same questions given to Hillary Clinton and Donald Trump the night before. Stein has been vocal in her dislike of both candidates, and offers herself as an alternative for those who share the same malaise. In a recent radio interview with Politico, she said that she sees Clinton as the more imminent threat then Trump. She professes that Trump will be ineffectual and “neutered” by his party once in office, but that Clinton has the political ambition and acumen to move forward on many of the policies which Stein says will be disastrous for our country. Stein shows no signs of slowing, especially now that her significant ballot presence is secured. She will undoubtedly see a percentage of the votes cast her way in November, though whether that percentage will be high enough to sway the outcome remains to be seen.